Whether you are an experienced yogi or a newbie, you can transform your practice with the newest mind body experience, Aerial Yoga. As the name suggests, Aerial Yoga uses a soft fabric hammock to elevate & support you through yoga postures. Once in the air, the body has to learn to align itself properly, thanks to the effects of gravity. Of course, your first thought is likely to be, “sure that sounds fun but only for the well-practiced yogi.” Due to the novelty of Aerial Yoga, many may think that this is not Yoga for Beginners and may get a little nervous on seeing the trapeze. Fantastical as it may sound, Aerial Yoga actually helps you to move more freely, with less effort by counteracting gravity – something that the novice & the experienced can benefit from. By relieving compression due to the pull of gravity while on the ground, the spine is elongated and the shoulders opened. The suspension in the air releases tension on the bones and muscles, increasing flexibility, and deepening your practice. Among many benefits, suspended yoga strengthens core muscles and the shoulders, increases spinal and shoulder flexibility, and prevents back strain. This is commonly announced by students of Aerial Yoga. Not only will you experience decompression of the spine from inversions, but standing postures, supported by the hammock will also give you this sense of length. It’s no surprise that this innovative yoga can be exhilarating. Classes often include laughter as students work their way through initial angst to the point of feeling confident and at ease. The hammock and suspension lend itself to a playful experience that will leave you feeling uplifted and happy. Despite its being new, Aerial Yoga remains true to the principle of Yoga of finding inner peace. Gravity, in fact, makes letting go easier. Emphasis is placed on breath and grounding in each class, which leads to a blissful experience. So get ready for a relaxed flight towards inner peace. Aerial Yoga elevates the mind, the body, and the spirit. Drop-in Aerial Yoga classes are offered at Kaya Wellness & Yoga, in Rehoboth Beach, DE several times each week. You can also schedule for a private, semi-private, or private group training in Aerial. 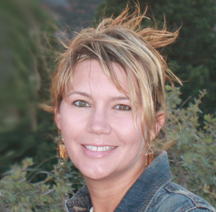 For a complete class schedule, visit us online at KayaWellnessCenter.com. For more information or to book an appointment, call 302-227-3450 or email info@kayawellnesscenter.com . 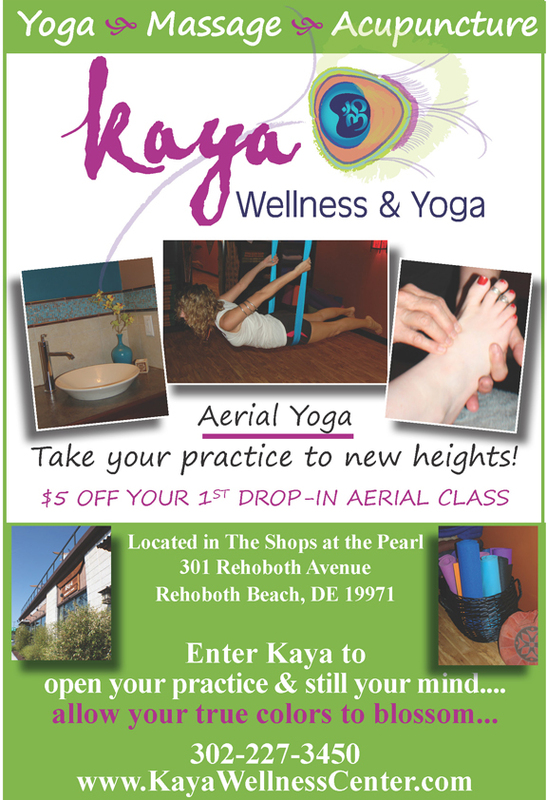 Heather opened Kaya Wellness & Yoga this spring.Kaya offers the 1st Aerial Yoga classes in Delaware. The studio also feature traditional yoga, workshops, ayurveda, massage and bodywork.